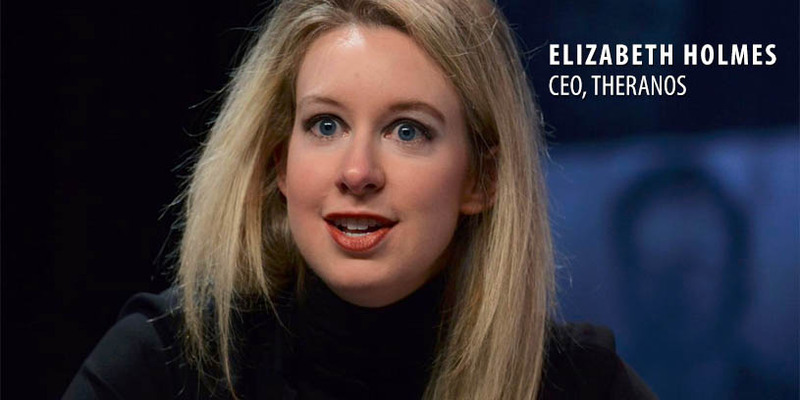 PALO ALTO, Calif. – Troubles continue to mount for Elizabeth Holmes and her embattled blood testing company, Theranos. Already facing the possibility that federal regulators could shut down one of its labs, now the U.S. Department of Justice has launched a criminal investigation into the company, the New York Times reported this morning. Citing an internal note sent to Theranos’ outside partners, the Times reported the company acknowledged the justice department’s probe, as well as one by the U.S. Securities and Exchange Commission. CNBC reported the investigations center around whether or not Theranos and its executives misled investors as to the efficacy of its blood-testing products. Walgreens, Theranos’ biggest client, has been subpoenaed by the government to provide information as to how Theranos described its technology, CNBC said. While investigations are ongoing, it is important to note that there are no formal charges that have been made and charges may never come from the authorities. The probes by federal officials began following a series of scathing articles about Theranos and questions of the efficacy of its blood-testing technologies from publications like the Wall Street Journal, CNN said. Brooke Buchanan, Theranos’ vice president of communications, told the Times the company is working closely with regulators and is cooperating with all investigations. Beyond that though, the company is remaining tight lipped. News of a criminal investigation comes less than a week after reports revealed that Holmes could face a possible federally-mandated two-year suspension from the blood testing industry over failures to address deficiencies at lab facilities in California. Not only could Holmes face suspension, but the company could also face crippling sanctions, including the shuttering of its heavily criticized Newark, Calif.-based lab, as well as suspension of its eligibility to receive payments under Medicare. The possible suspension, which could also include company president Sunny Balwani, stems from an investigation into the company’s Newark, Calif. laboratory by the Centers for Medicare and Medicaid Services. Buchanan told BioSpace the company is addressing the concerns raised in the letter from the Centers for Medicare and Medicaid Services. “CMS has not imposed sanctions on Theranos’ Newark lab. Due to the comprehensive nature of the corrective measures we’ve taken over the past several months, which has been affirmed by several experts, we are hopeful that CMS won’t impose sanctions. But if they do, we will work with CMS to address all of their concerns,” she said in an email to BioSpace. Earlier this year Theranos took another hit to its reputation after a scathing government report shows Theranos’ Edison blood testing devices has failed to meet the company’s own standards. The U.S. Centers for Medicare and Medicaid Services released a 121-page report of its findings following a series of inspections at Theranos’ Newark, Calif. lab and the news for the company valued at $9 billion based on its proprietary blood-testing is not good. The CMMS report showed 29 percent of quality control checks performed on Theranos’ Edison devices in October 2014 “produced results outside the range considered acceptable by Theranos,” the Journal reported. A February 2015 test using the Edison device to measure testosterone levels failed quality control checks 87 percent of the time. The CMMS report shows several months-long stretches of quality control issues when it comes to the Edison device. These questions about Theranos’ technology, have sparked concerns that Walgreens could sever its relationship with the company. More than 40 Walgreens stores in Arizona offer Theranos blood tests. The tests conducted through those stores are the biggest source of the company’s revenue.